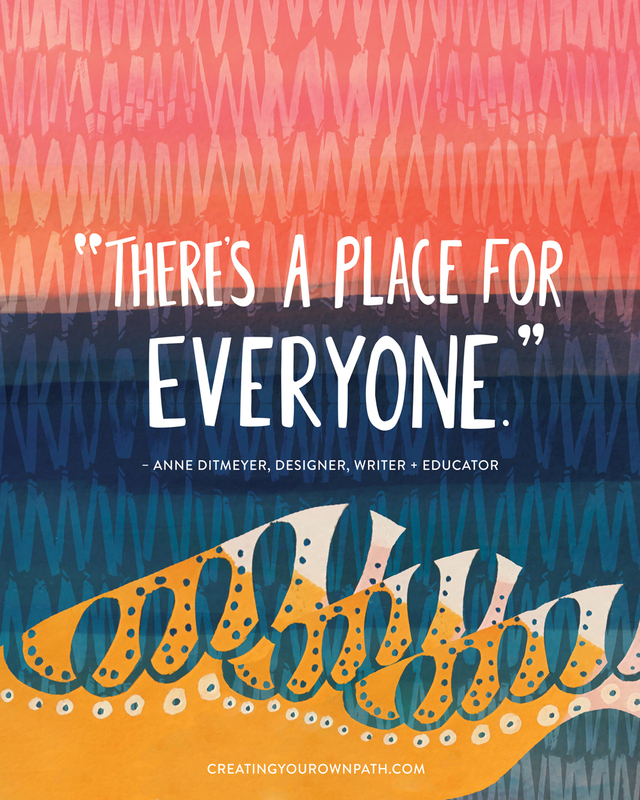 Today's show is the first in a new three-part series with designer, writer, and educator Anne Ditmeyer. In 2013 I interviewed Anne for Creating Your Own Path before it was a podcast. In the episode, I’m talking with Anne about how she has been able to successfully build a creatively fulfilling business across many different mediums and platforms. She chats about how living in France, and the constraints it put on her work situation, ultimately made her more creative, how she decides what platforms to use to showcase and provide access to her work, and why she’s never wanted to blog for a living — even though her blog is well-known and established. Today’s episode is the last in my series with Moorea Seal and it’s a powerful one. If you’re just tuning in, be sure to go back and listen to episodes 114 and 115 before diving into this one. If you’ve already listened to past episodes, you know that Moorea is an author, designer and shop owner and she has been very open about the experiences that have set her on her path. This episode is no exception. We’re diving pretty deep into some serious topics. On the show, we chat about why mental health advocacy is so important to Moorea, what therapy has helped her realize over the years, a how discussions about mental health, wellness, and advocacy are approached within her business. I’m back today with another segment with author, designer and shop owner Moorea Seal. If you haven’t listened to last week’s episode yet, I highly recommend you go back and download that one first. It’s Episode 114 in the archives. In today’s interview, we talk a lot about growth and what it’s looked like for Moorea both personally and in business. She goes into detail about how her multi-book book deal came to fruition, why Moorea Seal (the shop) wouldn’t be where it is today without a team of people, and how she's known when to take the next big steps with her business. See the new art prints in the shop here!